Black garnet color. 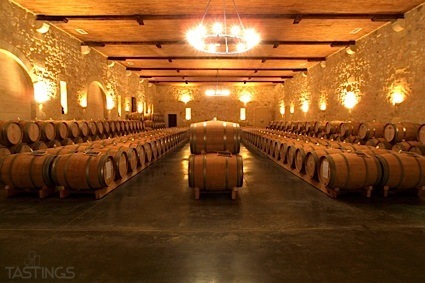 Mature aromas of polished wood furniture, cured meats, fresh berry jam, and imported cheese with a slightly chewy, vibrant, dry-yet-fruity full body and a warming, distinctive, medium-long red cassis, cinnamon, and black tea finish with chewy tannins and moderate oak flavor. A super-satisfying and balanced cabernet for excellent dinners. Bottom Line: A super-satisfying and balanced cabernet for excellent dinners. 93 • Caricature 2014 Chardonnay, Lodi 13.9% (USA) $14.99. 82 • Caricature 2013 Red Blend, California 14.2% (USA) $16.99. 89 • Caricature 2013 Old Vine, Zinfandel, Lodi 15.4% (USA) $16.99. 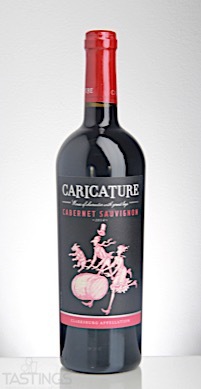 90 • Caricature 2012 Cabernet Sauvignon, Clarksburg 13.8% (USA) $16.99. 92 • Caricature 2014 Cabernet Sauvignon, Clarksburg 13.9% (USA) $15.00. 89 • Caricature 2014 Old Vine, Zinfandel, Lodi 15.2% (USA) $15.00. 90 • Caricature 2015 Red Blend, California 14.6% (USA) $15.00. 91 • Caricature 2016 Cabernet Sauvignon, Clarksburg 14.3% (USA) $15.00. 95 • Caricature 2015 Estate Grown Old Vine, Zinfandel, Lodi 14.9% (USA) $15.00. 90 • Ivory & Burt 2013 Chardonnay, Lodi 13.8% (USA) $16.99. 83 • Ivory & Burt 2013 Red Blend, Lodi 14.2% (USA) $16.99. 92 • Ivory & Burt 2014 Chardonnay, Lodi 13.5% (USA) $16.99. 90 • Ivory & Burt 2016 Chardonnay, Lodi 13.9% (USA) $15.00. 94 • Ivory & Burt 2015 Zinfandel, Lodi 14.9% (USA) $15.00. 86 • LangeTwins Winery 2015 Estate, Chardonnay, Clarksburg 14.3% (USA) $14.99. 89 • Sand Point 2014 Family Vineyards, Chardonnay, Lodi 13.8% (USA) $10.99. Caricature 2014 Cabernet Sauvignon, Clarksburg rating was calculated by tastings.com to be 92 points out of 100 on 1/10/2018. Please note that MSRP may have changed since the date of our review.